In order to understand Spinoza’s dissatisfaction with and objection to Descartes’ La Dioptrique (found in letters 39 and 40 linked below), one has to understand the opinions of those contemporary to Spinoza. Below I post a selection from Fokko Jan Dijksterhuis comprehensive book on Christian Huygens, who is well-noted for having been Spinoza’s neighbor in Voorburg. We can say that Descartes, according the Huygens, had failed to develop a theory of the telescope. 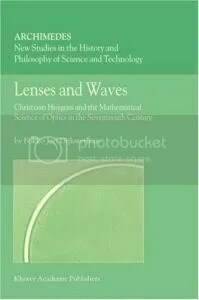 He had ignored the questions that really mattered according the Huygens: an exact theory of the dioptrical properties of lenses and their configurations. 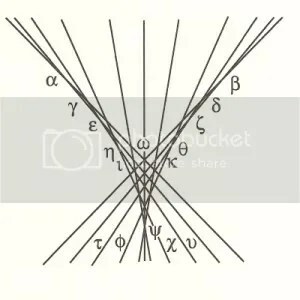 La Dioptrique glanced over the telescope that existed only in ideal world of mathematics (37). 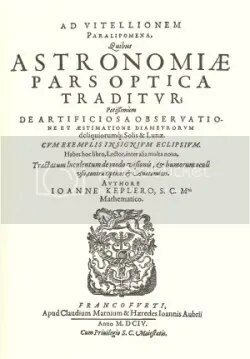 Here we get a sense of Spinoza’s complaint that Descartes may have avoided certain questions due to mathematical complexity, and that Descartes is not dealing with actual telescopes. 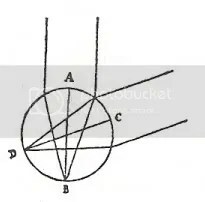 It is significant to follow that indeed the analogical form of arguments in the La Dioptrique was designed to be in favor of the craftsmen and artisans who were meant to grind Descartes’ miraculous hyperbolic lens, while in life (and theory), it was the great tension with this human and technical reality that that produced the Cartesian telescope failure. In a sense, if we are to understand Spinoza’s optical influences we have to come to at least consider what seeing, or more helpfully, perceiving meant for Spinoza, for behind any optical conceptions Spinoza had lies the very act of actively engaging the world. 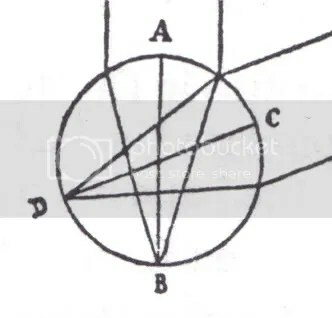 Much as Descartes worked from definitive values of what clear perception was, wrestling with both empirical experiment and mathematical analysis, so too Spinoza held core positions on what clear perception involved, and these factors into the nature of Spinoza’s break with his precursor. 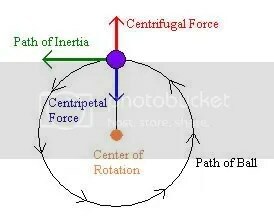 It has become my running thought in this research that if we can generalize, Descartes’ model of clear perception involved the hyperbola’s capacity to refract rays come from a single point on an object, to another co-ordinate point on the surface of the back of the eye, and that importantly this point fell upon the central axis of the hyperbola, a mathematical line which expressed, or was the locus of, the human freedom of Will. This point of focus was – at least in the accounts of vision where Descartesis in praise of the hyperbola and the remarkable representational accuracy of the eye – the fulcrum of a naturalized embrace of narrow focus, frontal clarity. 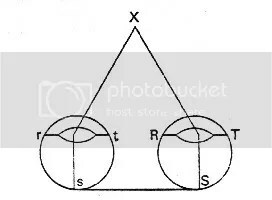 This seems to be contrasted in Spinoza with an emphasis upon the multiplicity of visual axes that a spherical lens affords (Spinoza’s optical letters are talked about here: Deciphering Spinoza’s Optical Letters ). 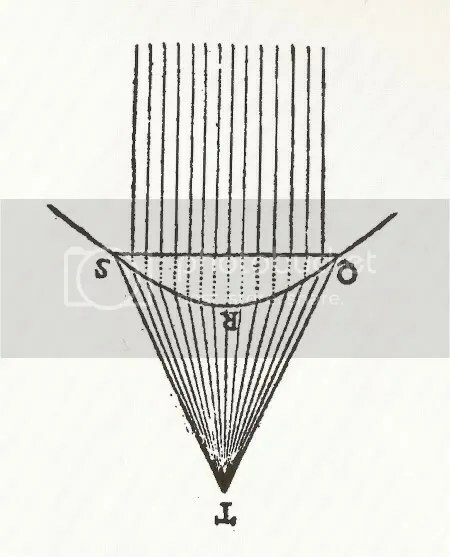 Spinoza was privileged enough to be familiar with thinkers who argued that spherical aberrationwas over-emphasized as a problem, and he seemed to hold that there was also a problem of “hyperbolic aberration” (my term), that is the inability of such lenses to focus rays cleanly to any points peripheral to the exact center-line of vision. 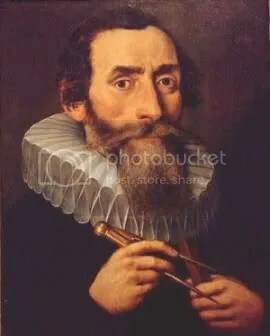 Whatever one is to make of the impact such aberrationwould have had on telescope construction, it is plain that Spinoza’s view of a model of vision was panoramic, that is, anything that had clarity in the center, was clear due to its place within the context of the clarity of all that surrounded. Instead of a vague and confused border of “confused images” which only “serve” the central crispness (Kepler), because Spinoza felt that we looked with the Mind and not the eyes – something that Descartes also argued but withthe burden of theological-theoretical commitments to a free faculty of Will – Spinoza holds that ideal vision embraces the tableau, the scope of things. 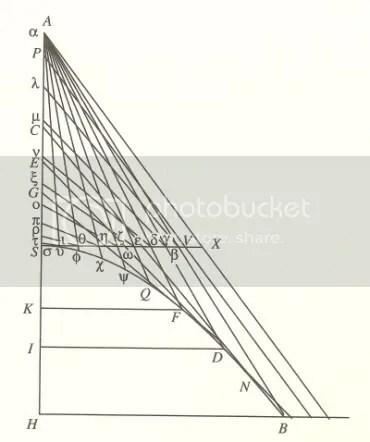 The hyperbola’s acute focus, as Spinoza understood it, just did not provide the convincing analogical force of what clarity would mean. 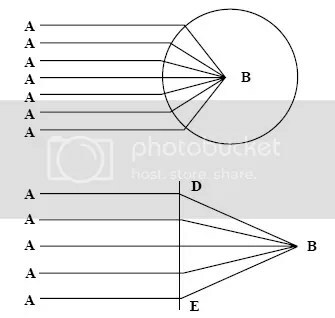 I think it safe to say, neither thinker, Spinoza or Descartes, had a sure enough idea of what exact effect spherial aberration had on telescopes nor how refractionproduced its images, and it was their different notions of mental claritywhich governed their arguments for ideal lense shapes, filling in the blanks of what was known. Within this overview of differences, it is worthwhile to consider my guiding assumption of this research: that Spinoza’s experiences as a lens-grinder and instrument maker (not to mention his social standing having come from an artisan class) decisively gave him a craftsman’s appreciation of perception, one that reflects itself in his metaphysis. To get a firmer grasp on what a “craftsman’s appreciation of perception” is, I turned to Richard Sennett’s book on the subject, The Craftsman. 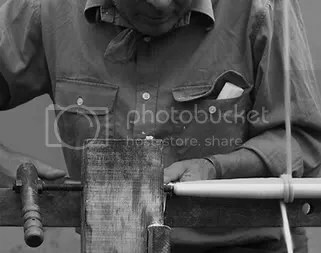 There he writes adroitly on the nature of craftsman perceptions, thinking processes and environments, in particular the relationship to tools and on-site difficulties. This has been of great value. In his sum of craftsman perceptions he turns to “cognitive dissonance’ theory to help explain how the craft perception functions. This strikes me to be of use in pointing out just where Spinoza and Descartes seem to optically diverge. Below he discusses the nature of “focal attention” (he mentions two examples he has discussed previously, the house the philosopher Wittgenstein designed and had built, in which he infamously had the ceiling height of a room changed 3 cm, just as the worksite was being cleaned up; and Gehry’s explorations into the processes of forming titanium, designed for the rippling skin of his Bilbao project). The capacity to question is no less or more a matter of investigating the locale. Neurologists who follow the cognitive dissonance model believe the brain does something like image in sequence the fact that all the doors in a mental room are locked. There is then no longer doubt, but curiosity remains, the brain asking if different keys have locked them and, if so, why. Questioning can also occur through operational success…This is explained neurologically as a matter of a new circuit connection being activated between the brains different regions. The newly active pathway makes possible further parallel processing – not instantly, not all at once. “Questioning” means, physiologically, dwelling in an incipient state; the pondering brain is considering its circuit options (278-279). It is not my intention to claim that Spinoza holds a proto-cognitive dissonance theory, though there are some signficant and suggetive correspondences (a social dimension to agreement, determintative conditioning and holistic forces in judgment). 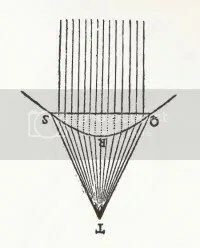 Rather, I would like to put it the other way around, to use Sennett’s point about the nature of focal attention to shed some light upon Spinoza’s difficulty in accepting Descartes notion of an ideal crystal clear center of vision. If we simplify, we could say that Descartes was concerned with identifying and constructing means of “clear and distinct” perceptions or thoughts which would define idealvision (mental and otherwise). 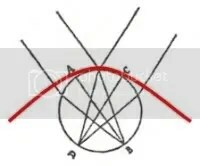 His engagement with the hyperbolic lens is at least analogically connected to his engagementwithhyperbolic doubt, each designed to focus the mind on a central clarity. What Sennett’s appeal to the craftsman experience of Cognitive Dissonance does is help expose a rift in the very center of focus which Descartes hopes to at least rhetorically stabilize. Focal Attention may be best understood as an irreconcilable line of fragmenting possibility and dys-clarity, and not the consummate moment-after experience of veritability. 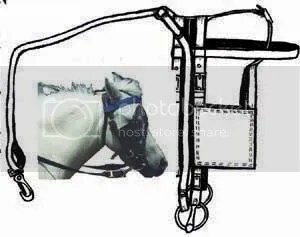 Modelsof the mind which have most thoroughly drawn upon the visual metaphor for truth mostly have taken the clarity of a perception as the exemplar of correspondence. 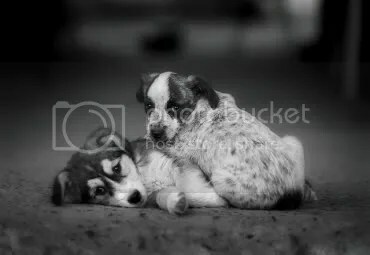 I see two dogs, and I know that they are twodogs and this clarity is established against a figure-ground constrast. But a Cognitive Dissonance approach seems to suggest is a much finer grain look at what perception is. That is, when our focal attention is turned from this thing to that thing, this aspect to that aspect, it is not clarity which guides our view, but dys-clarity, a fuzziness of the possible and the incomplete. The eye may apprehend the distinction between a figure and the ground but it does not stop there; it continues to trace the significance of relation of elements that both compose the figure, and distinguish it from its context. The processes that give birth to a single distinction carry on in a relational, distinguishing manner. This destabilization of the center, and its resolution through its coherence with a whole, I believe is expressed in several ways in Spinoza thinking. Sennett is concerned with the experiences and perceptions which guide the craftsman through his work, the careful notice of differences in materials, possibilities and designs, how a hand passes over wood grain or the mind might connect one part to another part. It is the waythat the mind glides over difficulties and solutions. 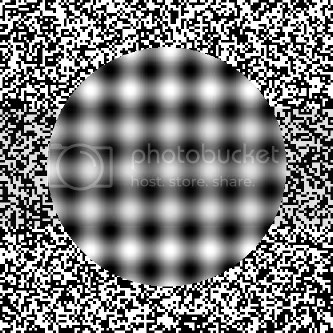 Taken in its visual state, it is the way that the eye focuses upon this or that, leading itself across the bed of differences. And it is my intuition that Spinoza’s lived practices with craft that gave him a distinct sense of what it means to perceive and distinguish. What is necessary is to establish just what it is that lies at the center of focus, if it not a crystalline clarity. And there are two selections of the Ethics which I have in mind in response to the Cognitive Dissonance lead. The first is Spinoza’s maxim concerning what it is that we imagine to be the case. It is important to realize that when Spinoza talks about the imagination, he means a confluence of both sensory experiences, and the beliefs we form about them, so much so the latter cannot be separated out from the former. The ideas we hold – or more properly, the ideational states we are in – determine our imaginary, phenomenological experience of the world. The Mind, as far as it can, strives to imagine those things that increase or aid the Body’s power of acting. Hence, as long as the mind imagines those things that increase or aid our body’s power of acting, the Body is is affected with modes that increase or aid its power of acting, and consequently the Mind’s power of thinking is increased or aided. In Spinoza’s view, though our relationship to the world may be imaginary (that is, we may not fully understanding the causes and effects involved), if we imagine a relation which improves our power to act, we will experience Joy (defined as an increase in this power, DOA 2), and thus the Mind will tend to continue to imagine in this fashion. Any imaginary improvement, if it results in Joy, is also an improvment in the power of thinking, and thus there is an imaginary, though non-optimal, path to greater power and freedom. E3: General Defintion of the Affects: An affect, that is called a Passion of the mind is a confused idea, whereby the Mind affirms concerning its Body, or any part thereof, a force for existence (existendi vis) greater or less than before, and by the presence of which the mind is determined to think of this rather than that. I say, further, whereby the mind affirms concerning its body or any part thereof a force for existence greater [or less] than before. For all the ideas of bodies, which we possess, denote rather the actual disposition of our own body (E2P16C2) than the nature of an external body. But the idea which constitutes the reality of a passion must denote or express the disposition of the body, or of some part thereof, which is possessed by the body, or some part thereof, because its power of action or force for existence is increased or diminished, helped or hindered. But it must be noted that, when I say a greater or less force for existence than before, I do not mean that the mind compares the present with the past disposition of the body, but that the idea which constitutes the reality of an affect affirms something of the body, which, in fact, involves more or less of reality than before. There are two significant aspects of this definition I would like to point out. The first is the ateleological view Spinoza takes toward these kind of ideational affirmations of the body. 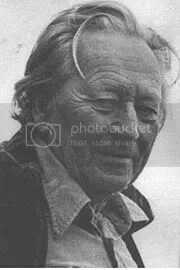 The mind does not arrive at its present affirmation state through a comparison of a present state with a past one, but rather makes of its present existence a repeated and continual “concrescence” (to borrow wrecklessly from Whitehead’s wordsmithing). Any perceptual grasp of the world, insofar as it involves a shift in degrees power and Joy, can be seen as coming from a comprehensive grasp in a sphere of understanding. To put it another way, if we adopt the cognitive dissonance model of perception and belief holding, the running line of potentiated dissonance which guides and centers our focal points of attention becomes repeatedly resolved in the affirmative embrace of a perception/thought/state of the body, made in context with the whole. Clarityarrives not due to the crispness of an axis of perception, but due to the resolution of that line within the panorama either of the visual tableau, or the ideas we hold. Seeing something clearly, thus, is fundamentally a connective and comprehensive apperception. P13: The more an image is joined with other images, the more often it flourishes. P14 The Mind can bring it about that all the Body’s affection, or images of things, are related to the idea of God. The second aspect of the General Defintion of the Affects I want to point out is that the chain of thoughts which make our everyday consciousness are not centered upon a Will which controls them, but rather are an expression of the ideas that make up our MInd; thus our ideational states determine the line of imaginary and cognitive processes which include our visual perceptions (clarity of perception cannot be the model of knowing), yet only insofar as these are understood as affirming our physical states. There is no center of vision nor of judgment. Rather there is the confluxof repeated changes in the power to act, something that reveals itself not in binary of Being and Non-Being, but along a gradated spectrum of Being, wherein the power one has is a function of the degree of Being one has. All this proceeds too fast, for I have not properly connected Spinoza ateleological, affirmational understanding of perceptions and thought-chains to the kinds of curiosity and tensions that arise even the the smallest of conscious distinctions. What a Cognitive Dissonance model of perception and belief provides, I have suggested, is the idea that there is a fissure at the center of the eye’s focus, and that this rift is only closed through the coherent orientation to our experiences at the edge of that rift, in relation to all that lies at the margins. Any philosophical view that in a binary strictly equates focal clarity with Being, and all else with Nothingness or Non-Being, does not fully appreciate the recommendations that a metaphor of visual experience would provide; for at the very center of the eye, if we follow Spinoza’s thinking, lies not the undoubtable truthof one proposition, or the pure assurance of an object seen, but rather the living line of the electric destablized possibility for greater Joy or freedom. Perceptions are a body’s forward lean. In Spinoza’s terms, this line is the shore-point of our realized power to act, and thus occurs along the affects we experience, as they are expressed in both the ideas that make up our mind, and the states our body is in. The very center of focus is our fluxuations in perfection and Joy. Now at this point really I would like to take the opportunity to make clear that I have for the sake of contrast been unfair to Descartes, for by and large when he seeks clear thoughts he does not have in mind a clarity which operates independently of other understandings. He, like Spinoza, sees a global and connective sense in truth, one which puts any clear perceptions of the world in the context of the natural dispositions of the Intellect and our soul’s relationship to God. His use of skepticism and doubt is likely at most pedagogical. There has been too much groping at what has become a cadaver of Descartes’ notions of Ideas, without notice of the living relationship such concepts hold in his overall natural science and theological scheme. Nadler, Yolton and Behan (his new piece “Descartes’s Semiotic Realism” forthcoming), all have worked to show that most of our modern conceptions of Descartes’ Representationalism are ill-considered, forwarded by a chain of deformations: first Malebranche, then Reid, and lastly to great effect, Rorty. Much of what we rail against as invidiously “Cartesian” is not really something Descartes would champion. I think the arguments of Nadler et al are very well taken, and expose a tendency of philosophy, for all its sophistication, to organize itself around oppositions simple to grasp. And thus it does us some good to look closer at the forefather of the great Substance divorce between the Mind and the Body. This is a strange thing to say, considering that much of my contrast between Spinoza’s view of perception and Descartes’ view seems to rely upon representational models of what is known. Spinoza objects to the representational notion of clarity, what he calls “falling into pictures” because he feels that representation simply is inadequate to express what happens when we hold ideas about the world. 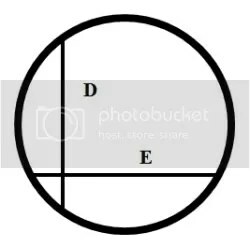 As I have presented it, Descartes seems too seduced by the visual metaphor of a center of vision becoming clear, a ring of focus, which then can be traced down an ancient heritage of an Ocular philosophy of Presence, where the revealing aletheia of Being stands out from the confusions and negations of Non-Being, playing out the 1s and 2s of dialectical Greek counting. But I would put forward that Descartes is only drawn in this direction against, or at least in tension to, a more comprehensive understanding of perception, one in which the Mind “sees” in a very unrepresentational way, with the “mind’s eye” (a phrase that likely Spinoza takes from Descartes). It is my sense that only Descartes theological commitments to the soul and its freedom of choice expressed through the judgments of the Will which force Descartes away from what he would otherwise be more comfortable with, into an account of vision which emphasize visual clarity along a central axis of focus. It is the need for a localizable edge of judgment, most amenable to an analogy of the otherwise blurred field of view, overdetermined by an essential binary of clear and unclear, which pulls Descartes back into pictures. We see this in the development of his Dioptrics away from the non-representationalistexplanations he begins with. It is Descartes conception of light that the tendency of rays communicate themselves without movement, instanteously across space, just as a blindman’s stick seems to. When rays connect to our eyes, Descartes understands our sensing to be that of connective stimulation. When we see objects, we are seeing like a blindman, with sensations directly transmitted to our nerves. 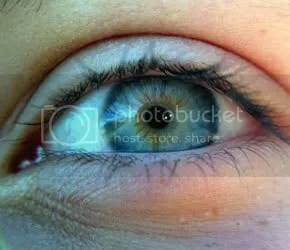 He compares a blindman holding two sticks to the baton centers of vision of each of our eyes, emphasizing that the image itself is not what is directly communicated to the Intellect through the nerves. 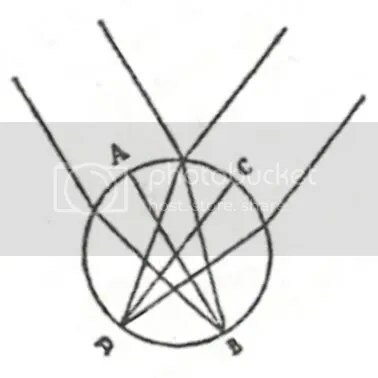 So you must not be surprised that objects can be in their true position, even though the picture they imprint upon the eye is inverted; for this is just like our blind man being able to sense the object B, which is two his right, by means of his left hand, and the object D, which is to his left by means of his right hand at one and the same time. And just as the blind man does not judge that a body is double, although he touches it with two hands, so likewise when both our eyes are disposed in this manner which is required in order to carry our attention toward one and the same location, they need only cause us to see a single object there, even though a picture is formed in each of our eyes (sixth discourse). It would seem that there is within Descartes thought a primary distinction, as Yolton and Behan argue, between signifying and representing; the stimulations of the senses communicate themselves directly through the nerves in a signifying process not based on essential resemblance. The problem is that such a signifying mode of interpretation does not favorably present itself to the requirements of an Individuated and free action of the Will. Where, and before what would the signification process end…the pineal gland? This puts Descartes in tension with himself, as the analogy of visual clarity, embodied by the pursuit of hyperbolic focus in lenses, pulls him back toward representationalist notions. I don’t at all believe that Descartes holds such a representationalist idea of knowledge, but rather suspect that it is only the independence of the freedom of the will which again and again forces its intrusion, under an auspices of directed and establishing clarity. The resting place of hyperbolic doubt, the cogito, assures a clear focus relation on which all relations can be reconstituted, owing to God. What makes this most interesting is that because Spinoza objects to Descartes at the most radical level of the Will itself, denying the rationality of such a theological vestige (Ethics, 2p48s records the critique of boththe will and representation), he remains unencumbered by the need to take from vision a strict Being/Non-Being binary of optical focus and blurring, center and margin. Instead he draws on, if we can be bold enough to assume it, another luminous analogy, that of Plotinus’s Neo-Platonism, the notion that light radiates in a sphere (put forth by Kepler), and that it expresses itself in gradations of ever-weakening power and cohesion, understood as degrees of Non-Being and power. Spinoza positions himself in the Augustinian, Plotinus line of thought which makes of evil a privation, but he does so at the epistemological, yet by virtue of his parallelism, still bodily level, where the degree of the adequacy of our ideas result in real, affectual experiences of the fluctuations of our power and perfection. Instead of a center of vision which affirms a crisp focus of assured clarity, Spinoza’s center of vision is the breaking wave of the affirmation of our own body’s power, its capacity to act, understood within the context of the full scope of tableau of what is “seen”. As our eyes, fingers, ears, mind flits from thing to thing, we are constantly in states of imagined increases of pleasure and power, owed to the coherence of causes and effects. While central clarity may help incise distinctions of importance, these distinctions only grow meaningful and distinct in the full context of the margins. It is my sense that Spinoza gained something of this metaphysical insight, in addition to the great variety of sources we might name, from his experiences as a craftsman. His patient polishing of propositions not only reflect in form his careful polishing of lenses, but the content of his thought I believe express the sensitive, non-representational experiences of judgment that come from working with materials, designs and tools in a comprehensive fashion. Spinoza’s refusal to admit Descartes Substance divorce of mind and body perhaps came from his bodily experiences of shaping and sensing glass under tension. 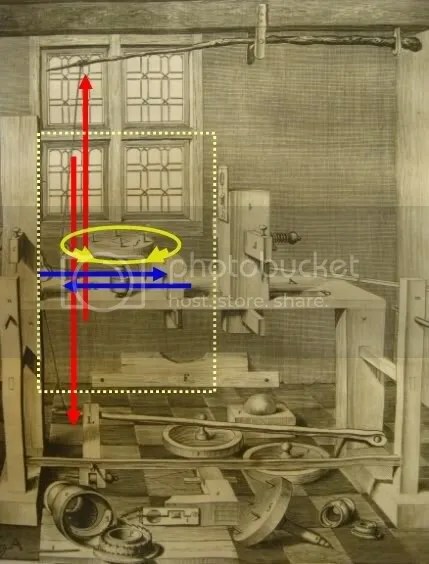 While Descartes spent much of his time in mathematics and theory, informing and confirming his hypotheses at times through experiments, he lacked hands-on knowledge of what mechanical construction and application required. In a sense, his vision was mechanical, but his hands were not. 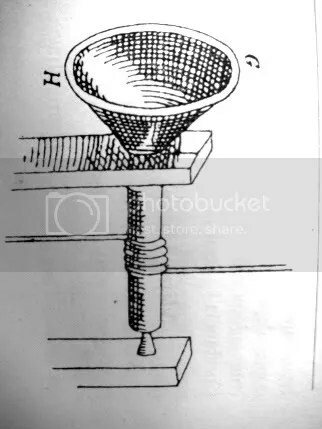 One cannot help but realize that Spinoza’s cybernetic turnings of the grinding lathe (either with his off-hand or by foot pedal), communicated a complex of sensations and judgments far too subtle and rapid to place the crown of knowing upon a independent and freely functioning Will. 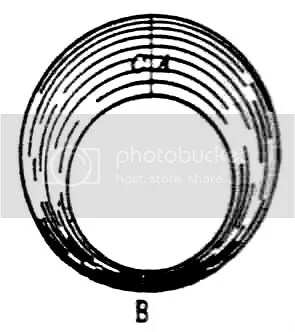 Instead, as the lathe was tensioned in a flux of speeds and grits, and his eyes caught the traces of changes, as his hand holding the torquing glass blank felt the moment to moment consequences of his lathe’s turning – in one great curcuit – he necessarily understood the shore of perceptions within a comprehensive and assembled bodily whole of communications. The coherence that a craftsman brings betweeen his own hands, the limits and possibility of tools, the variations and states of material, amid a continuous, creative line of “dissonance”, a hole in the center of the percieved, non-absolute differentiations of grades, their deviations in form, doubtlessly expressed itself in Spinoza’s own embrace of the union between body and mind, and the careful consideration of the moment to moment changes in the body’s capacity to act. I have been working for a few days on a commentary on two of Spinoza’s letters, which I will refer to as his Optical Letters. These two letters are Spinoza’s attempt to answer a question about optics and telescopes put to him by his friend Jarig Jelles. I just want to make a short note here on something that has really struck me as quite astounding about the paths research on Spinoza have taken over the last say, 150 years. During these past few months I have read deeply into the biography of Spinoza, and conducted my own attempt to dig into Spinoza’s connections to lenses and optics. I have found extraordinarily detailed work done on the most obscure elements of Spinoza’s life. Diary entries of people who never met Spinoza are combed for bits of significant facts. Spainish inquistion records reveal hearsay of a meeting he was at and the company he kept. The records of Michael Spinoza’s business dealings before Spinoza was born are carefully noted. Indeed it seems that every trace Spinoza’s echoing life may have made upon the Book of History has been dug up with near archaeological precision, all to a wonderful effect. But what amazes me, I say truly amazes me, is that we have in these two letters to Jelles several pages of Spinoza’s thoughts on light, glass, geometry, optics, Cartesian reasoning, perception and the eye, and nearly no one (in English) has thought to ask with any depth: What is Spinoza thinking here, and why does he think it? This resounding silence on these letters is truly extraordinary, given the Armada of Academia’s resources and desires. The disproportionality is extreme. Part of this may be due to the fact that these letters were not completely available to general English readers until Shirley’s translation made them so in the mid nineties (the Elwes translation simply leave off where the optical portions begin!). 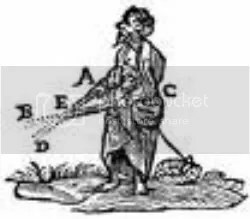 But I have been assured that even in Dutch there is a dearth of commentary on these letters, and I am not familiar with any other languaged treatment. Despite issues of translation, the reasons for this silence seem to be two-fold, in perhaps the most broad of interpretations. First, Spinoza seems to have been ensconced, crystallized in a certain mystico-rationalist conception that only Philosophy can achieve, strangely divinified such that certain aspects of his thinking simply are unthinkable as relevant. In such a prisming of his life the fact that he ate “Milk-soop” and raisins indeed might have more importance than what he thought about spherical aberration. This is remarkable, for Spinoza has been championed by diverse, incompatable schools of thought throughout the centuries. I think it says something about the aura we receive Spinoza in, no matter where we stand. The other reason seems to be about Academia itself, that issues of science and philosophy are treated so distinctly that not only are questions not asked which might bring these two disciplines together, but also the people posing these questions are either of one background or the other, such that investigative readers of Spinoza who might have looked deeply enough to have found his Optical Letters simply did not possess the knowledge by which to assess them. The letters just were not of interest to either philosophers or historians. 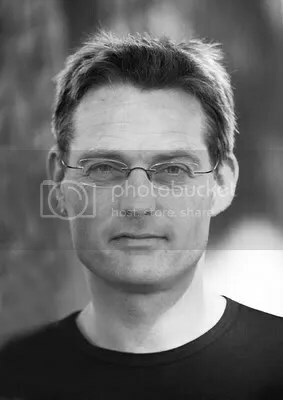 And I suspect that there is something to Academic arrogance or supposition – probably because it is a milieu in which one primarily experiences attack from one’s peers, rather than agreement – that is willing to dismiss the relevance of something that is not well understood and does not fit within its program. That such a combination of programs over the years may had this lasting occluding effect is significant. On a more general note, I have been assured by more than one scholar that this research into Spinoza’s lens-grinding is simply the first of its kind. How can this be? If I were to say something more, I suggest that we look into this hole in our perceptions of Spinoza, as they have been recieved and acted out for the last century or more, if only to get a better sense of ourselves, our need to see the people we study through a particular kind of lens (to beat the easy, but meaningful rhetorical drum). This does not mean that Spinoza is among the greatest scientific minds of his time, or even that he may have been able to contribute something to our vast store of scientific knowledge (that narrative tendency of successive victories needs to be amended I suspect). What it means is that if we are to understand Spinoza’s metaphysics (and politics) we must comprehend the full scope of the man: his intellectual concerns and daily devotions, and not just his Propositions. In a Spinozist sense, the fullness of his modal expression needs to be embraced. And if we are to understand Science, the great rise of rational, experimental and mechanical investigation that came out of the 17th century, we are going to have to understand that the truths in the minds of men, were mixed truths drawn from multiple aspects of what now are distinct disciplines. In history there is no dross.